The rarely performed Verdi gem, "Luisa Miller", illuminates the Metropolitan Opera in New York with a sensational cast. It is a heart-wrenching tragedy about fatherly love. Sparkling soprano Sonya Yoncheva debuts as the main character of Luisa, alongside sought-after tenor Piotr Beczała. She tells euronews about the challenge of playing the character. Sonya says; "I was coming from a big diva role like Tosca and so Luisa seemed to be so innocent, too innocent. Then little by little I started to quite love her and also to adapt the voice." 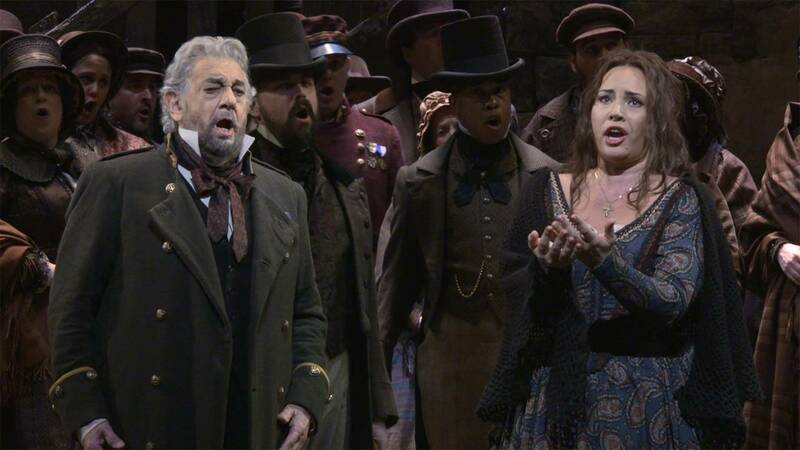 In the role of her father: Legendary tenor Plácido Domingo, who's now working his way through Verdi’s baritone roles. He spoke to euronews about how much he enjoys performing the music. The opera marks a transitional moment in Verdi's career and is seen as a gateway to his breakthrough works later on, such as "Rigoletto" or "La Traviata". Piotr Beczala tells euronews how much he admires the composer's work: “This is really psychologically and dramatically well thought through. Verdi was really a man of the theatre. He didn't just compose and come up with something, his music always served the theatre." “Luisa Miller” centers like many of Verdi's works on the bond between a father and his daughter, which is torn apart by an impossible love. Piotr says; "Almost every time it's the story of a love triangle, a woman, a lover and the father who is this protective figure. Most of the time they have a strong emotional relationship." Plácido Domingo reveals more about the life of the composer, Verdi, and what may have ignited his passionate masterpiece: "Unfortunately in his life, early in his life, Verdi lost his wife and his two children." He says; "One of the most sensitive music is between daughter and father. We hear it in Rigoletto, we hear it in Simon Boccanegra, here in Luisa Miller." Sonya talks about the incredibly dramatic ending to the opera: "She accepts completely the death as a new level of love. She convinced herself and her love Rodolfo that it's ok, we will die but this is the only way for us to be together." The final performance of "Luisa Miller" at the Metropolitan Opera takes place on April 21st.